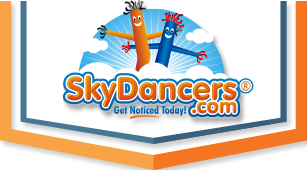 SkyDancers.com is heavily invested in providing you the very best Easter Products you can find on the net. Whether for an Easter Egg Hunt, church gathering, an Easter Sale, or a private party; you'll want to browse our lineup of Easter Products for your special event. Many of our longtime customers have used our past Easter Products with great success, increasing visitors and revenue. They still check back and purchase every year for our new updated products. Make your Easter celebration special by purchasing a SkyDancers.com Easter outdoor advertising product today. Past customers of SkyDancers.com Easter Products have used the products at Easter Egg Hunts where kids love the colorful, intricately shaped Easter Egg themed inflatables. Whether it's an Easter Bunny or Easter Egg shaped product, and placed in multiples spread around your location, it gives your event or business more color and attraction. At businesses, these SkyDancers.com Easter Products tell your customers and potential customers that you have specials and sales in celebration of the Easter Holiday. When your customer is on the verge of deciding to patron your business or event, that extra color and contagious Easter Holiday spirit that the SkyDancers.com Easter Products is what's going to push them in through the entrance. Don't do the Easter Holiday without a solid advertising and marketing plan. Call us today and talk to our customer service agents to find out how to best maximize our East Products.